Denali, formerly Mt. 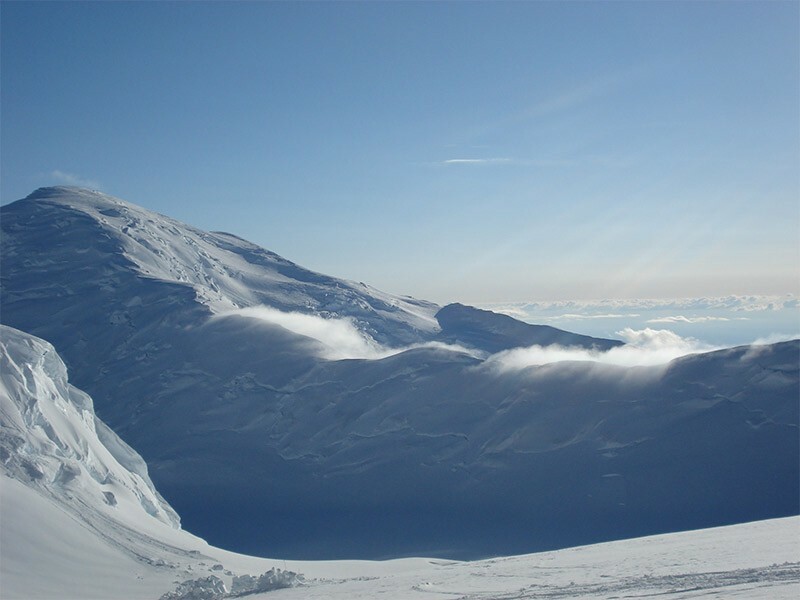 McKinley, is America’s tallest mountain and is unsurpassed in challenge or scenic beauty. 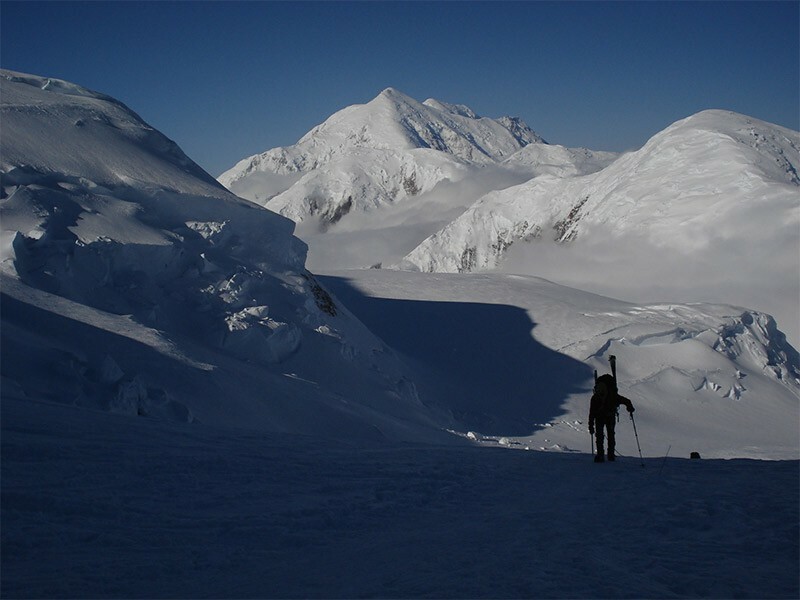 At 20,310 feet, it rises out of a sea of glaciers and other peaks that compose the Alaska Range. 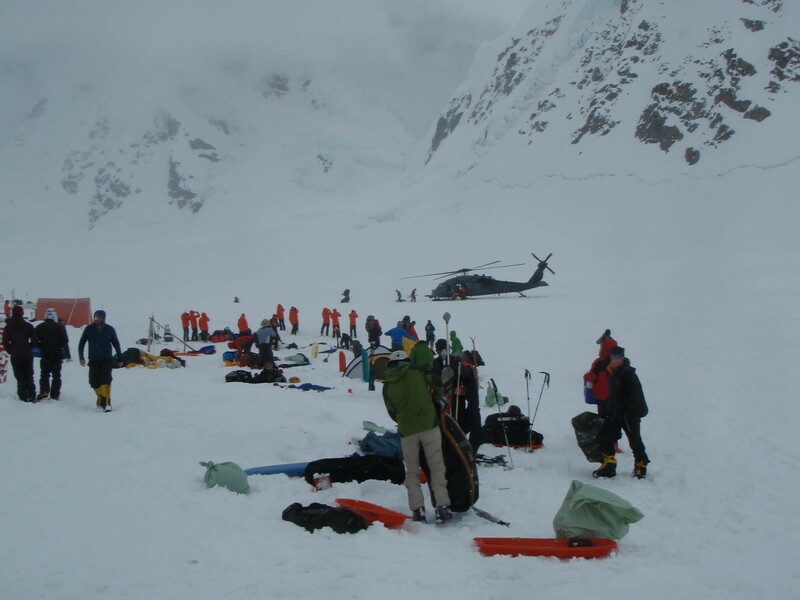 From our start at base camp, we climb 13,000 vertical feet to the summit –the greatest elevation gain of any mountain in the world. 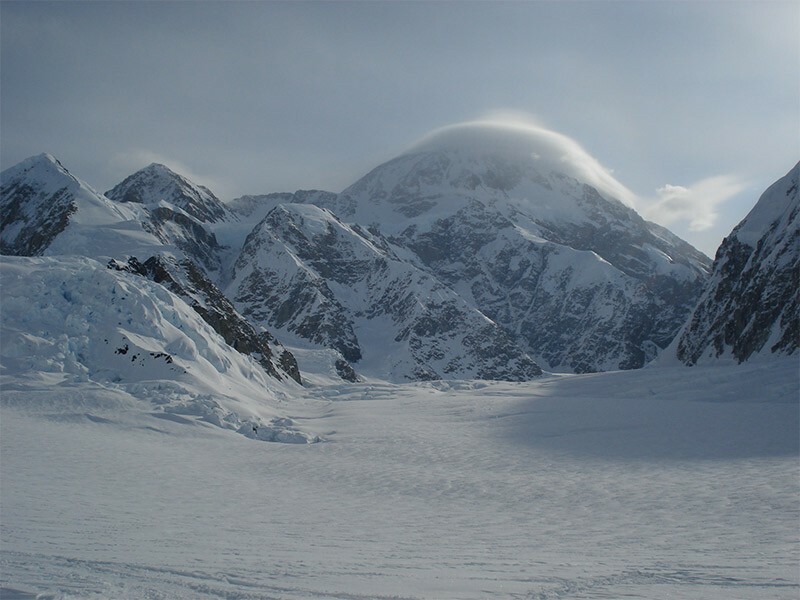 150 miles north of the port city of Anchorage, Denali is the largest massif in Alaska’s Denali National Park and Preserve. Not to mention one of the 7 summits to be checked off the list! 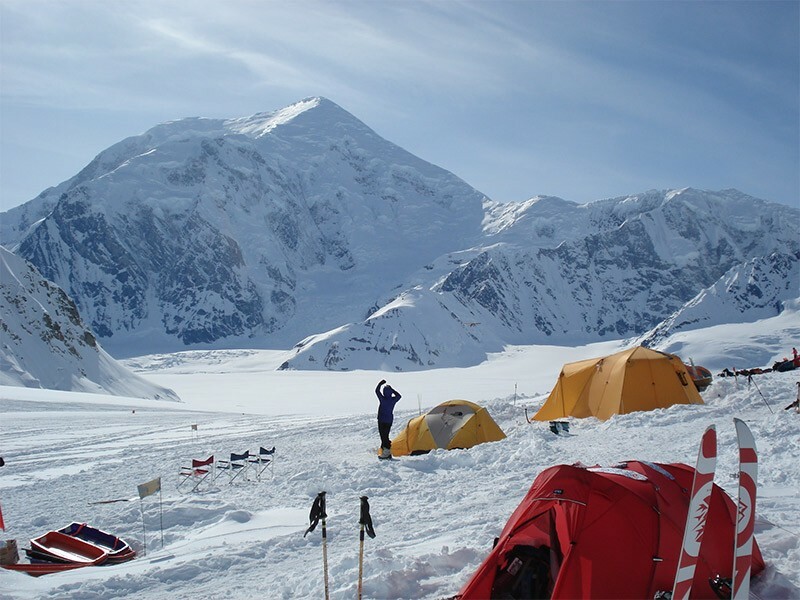 Currently all of our Denali expeditions are led by Alaska Mountaineering School, LLC, an authorized mountaineering concession holder within Denali National Park and Preserve. 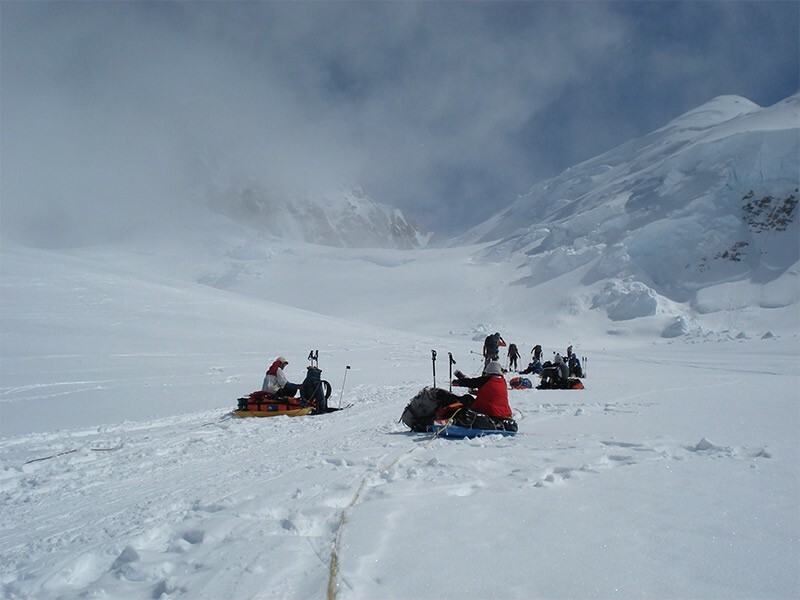 For those who have the 7 summits on their list or just want a big challenge to train for even more difficult mountains, this is the expedition for you. 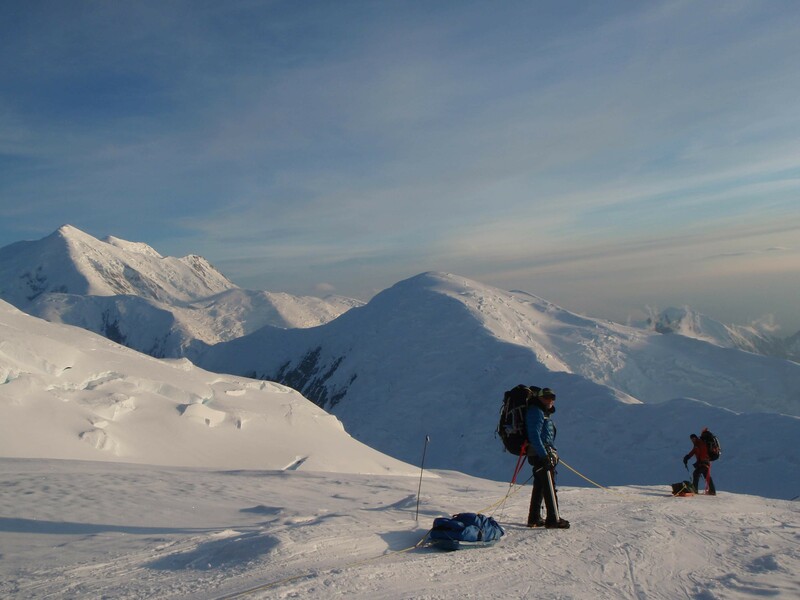 On this expedition, we take you through the West Buttress route which is considered the “safest and easier route” to the summit of Denali but don’t be fooled, it is still considered one of the toughest climbs of the 7 summits and needs technical expertise and intense experience. 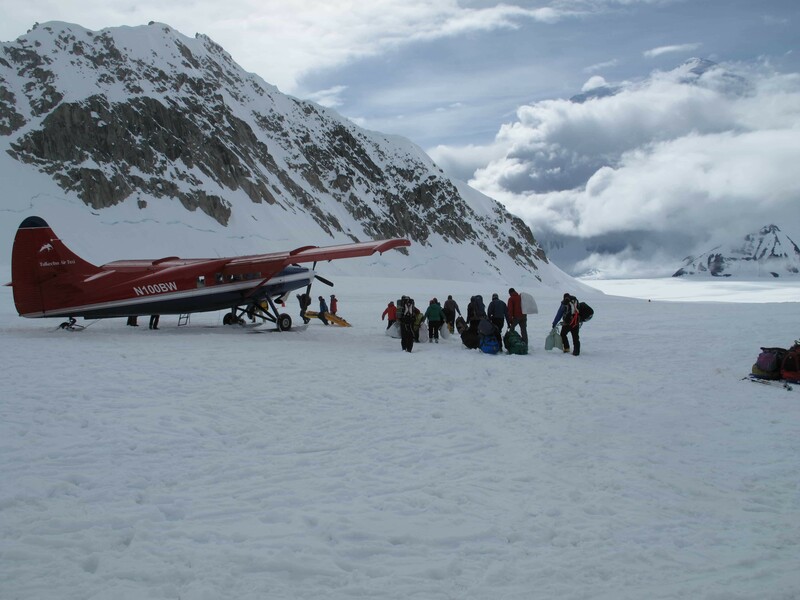 Today we will meet with the rest of the team at around 2pm in the AMS headquarters for the expedition orientation, getting our gear checked, packing lunch and issuing all permits. You will wake up at base camp with stunning scenery where you can enjoy a good cup of coffee or tea before we head out for our first acclimatization hike. 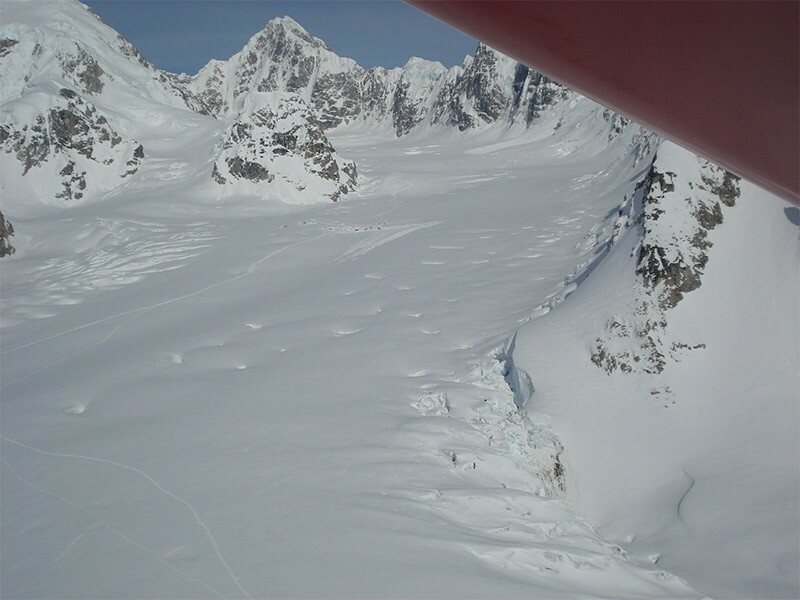 After we are back, we will go through the glacier travel and crevasse rescue and then you can enjoy the view for the rest of the day. 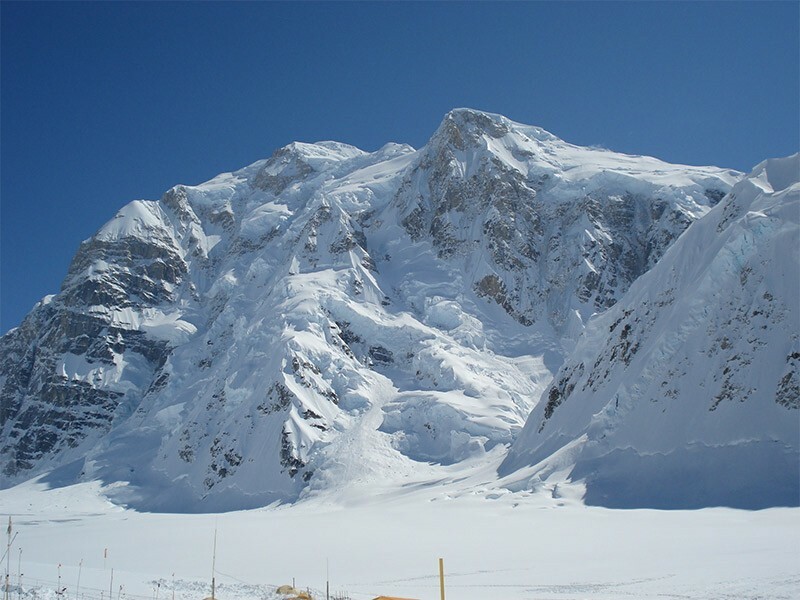 Today we will pack our stuff and head to Camp 1 which is at an altitude of 2,377m and we will be covering a distance of 5.5 miles in hiking. 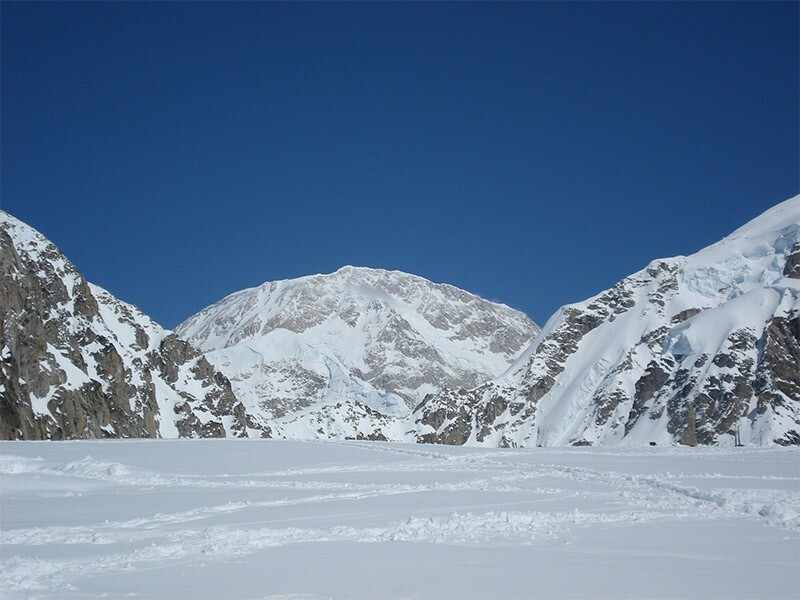 After breakfast, we will hike up to Kahiltna Pass for acclimatization and head back to camp 1 for the night. 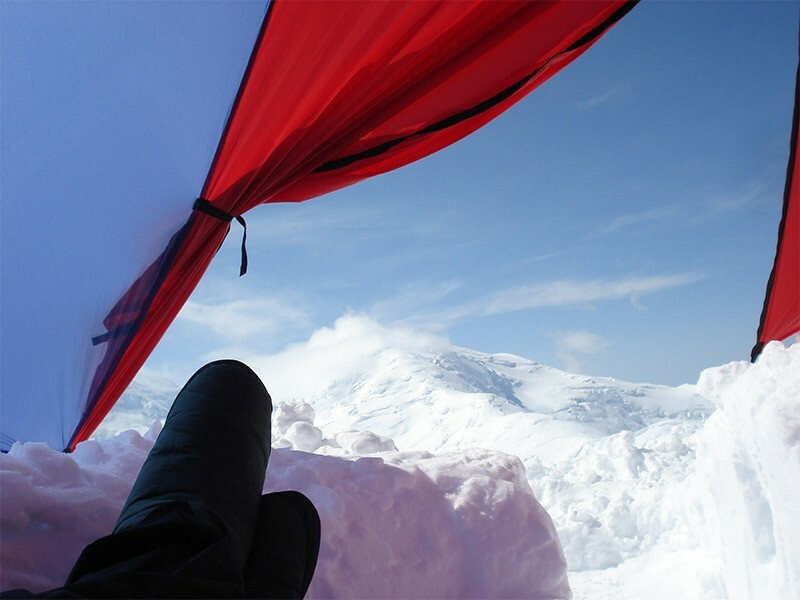 Today we will get to rest, chill and enjoy the view. 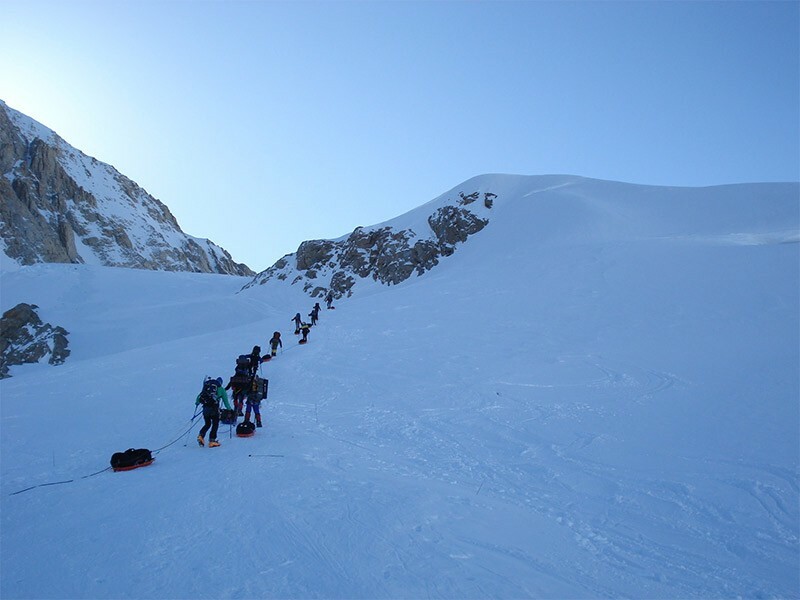 These days are booked for the summit attempts depending on the weather conditions. 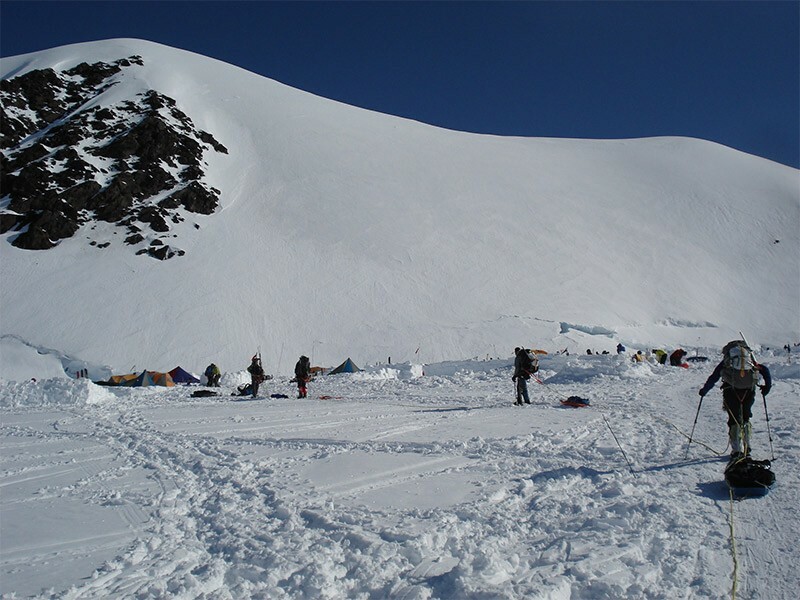 Summit day usually takes between 10-14 hours but again this is completely up to the weather conditions and the pace of the group. 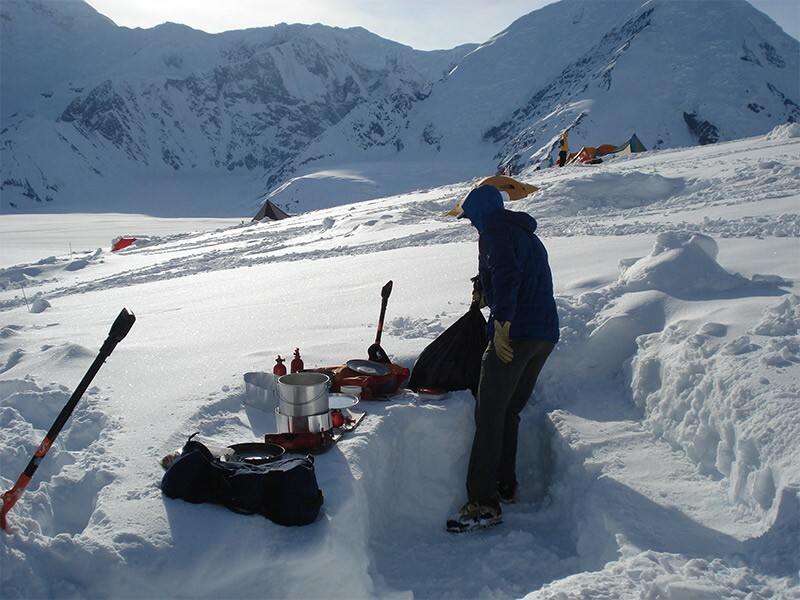 You will be provided with hearty, nutritious, and balanced meals on this expeditions. Do not be surprised if you gain weight! A spreadsheet rations program and faithful recipes balance calories, carbohydrates, fats, proteins, and weight to create a variety of tasty and creative meals that build strength and maintain health. Up to 4,328m typical meals are pasta, rice and bean burritos, English muffins, bagels, and pizzas. As we gain altitude, lighter and more easily digested foods are cooked. Examples include: hashbrowns, noodles, rice, mashed potatoes, ramen, couscous, soups, tortellini, dried vegetables. We avoid freeze dried meal-in-a-bags as they are typically inadequate portions and lack flavor. Our rations come from organic wholesalers from Washington and Oregon and supermarkets in Anchorage. All of our meals can accommodate vegetarians and other dietary requirements so please let us know in advance. 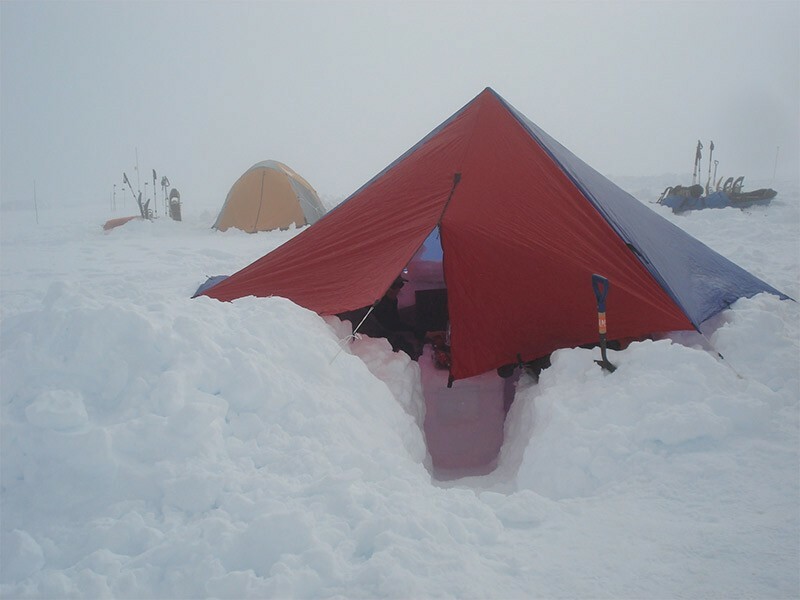 Your accommodation on the mountain will be in expedition tents which you will be packing and rebuilding in every camp you reach. 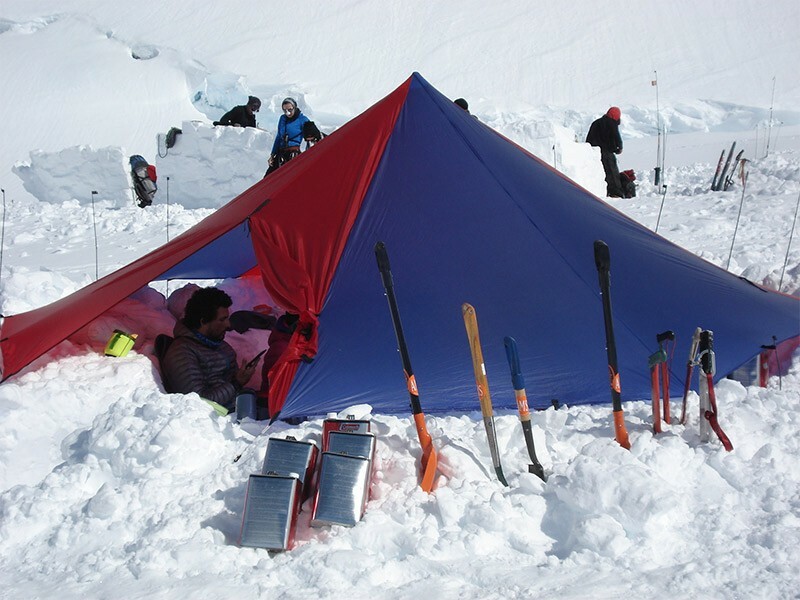 Tents are big, high quality and comfortable to make your stay as nice as possible. No experiences is needed: Anyone can join this trip. Minimal experience: You should probably have some hiking experience to join this trip. It is advisable to have gone on a hike for at least 2 days prior to joining this trip. 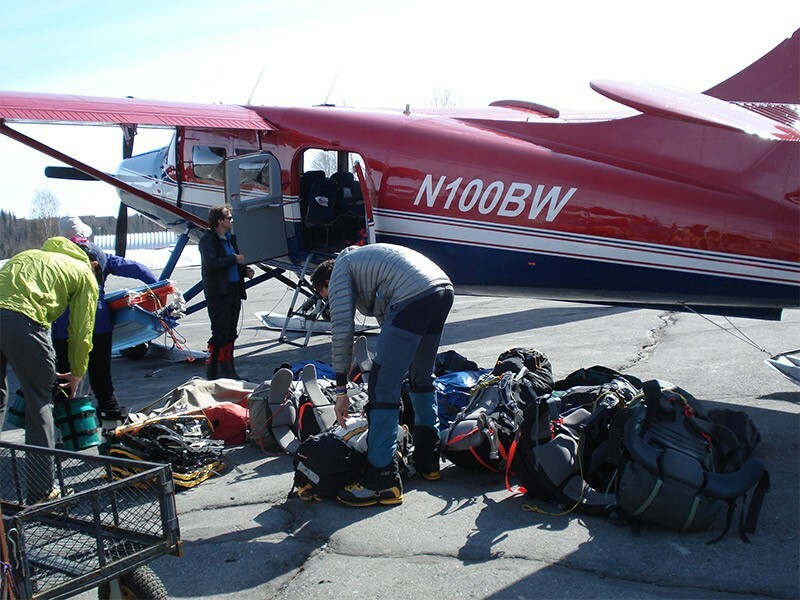 Moderate experience: You should have some climbing experience to join this trip. 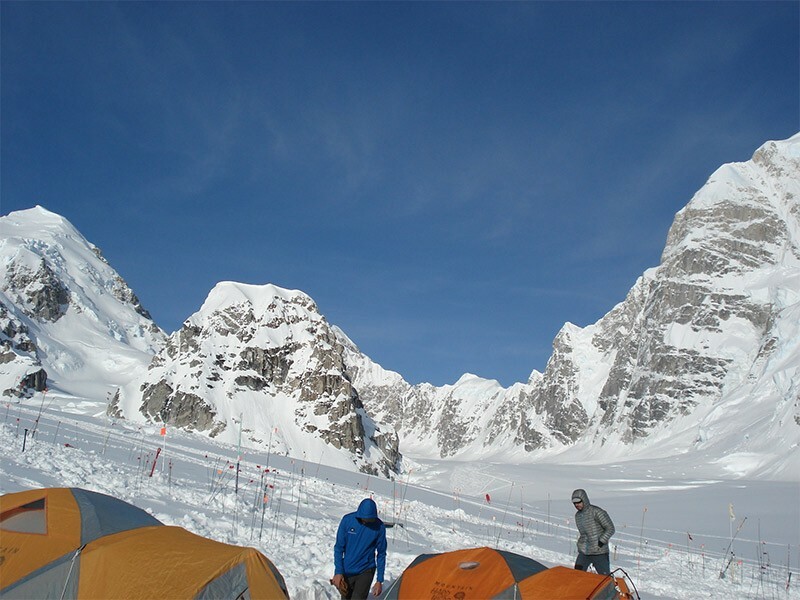 It is advisable to have been on at least a 4-day climb before joining this trip. 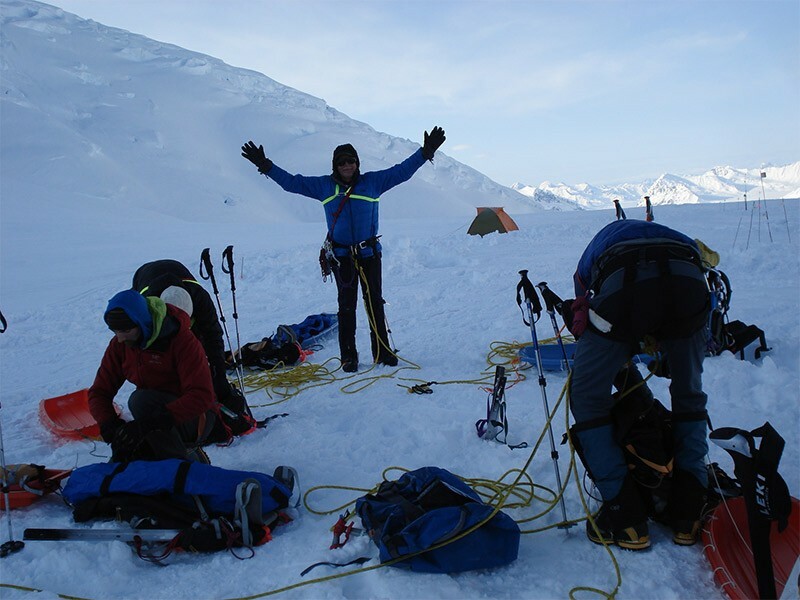 Technical experience: You should have technical climbing experience before joining this trip. 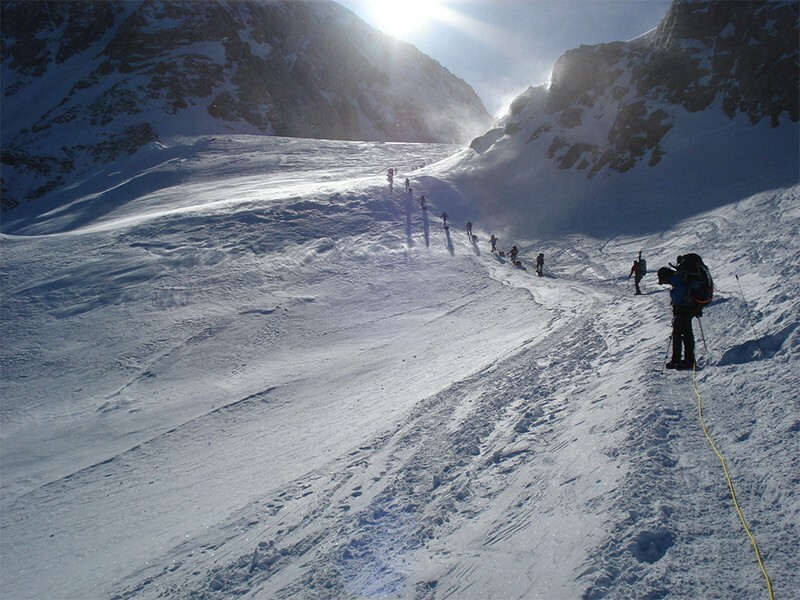 It is recommended that you have experience with crampons, skis, ropes and belays. Advanced technical experience: You should have technical climbing experience to join this trip. Depending on the climb, you will need a specific set of skills. Occasional workout, no fixed routine. Workout routine with at least 2-3 workouts a week, overall in good shape. Trekking days on this trip are around 3-4 hours long each day with little elevation. Workout routine with at least 4-5 workouts a week, overall in great shape. 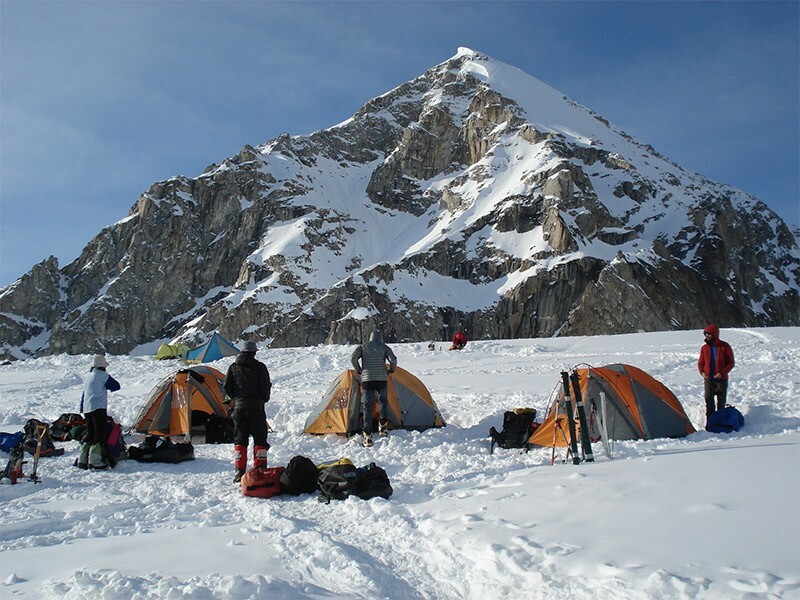 Trekking days on this trip are around 4-5 hours long each day with moderate elevation. Workout routine with at least 5 workouts a week. 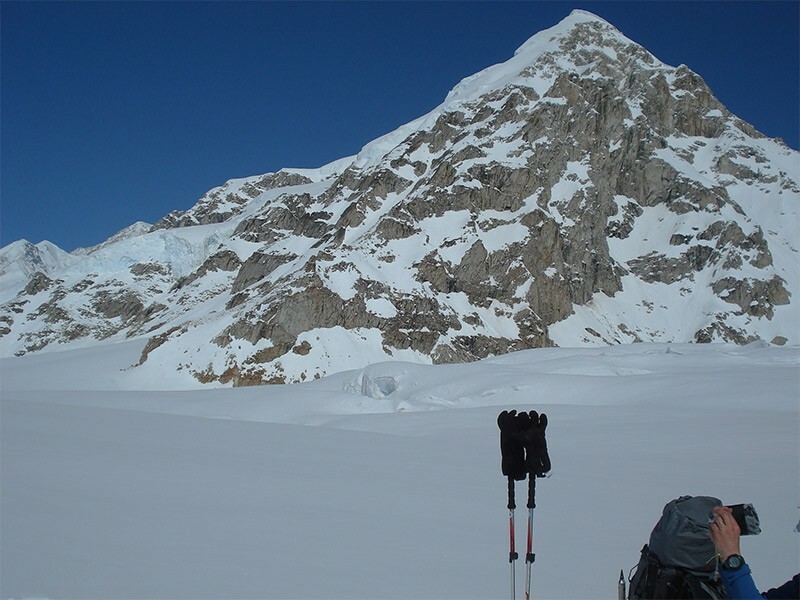 Trekking days on this trip are around 5-7 hours long each day with high elevation. Specified workout routine with at least 5 workouts a week as well as technical training. Trekking days on this trip are 8 hours long each day with extreme elevation.